To Mazel McCoy-Anderson, juggling a severe family health ailment and her nursing job proved too difficult. "I had to quit my job when my parents needed me," she said. "Their health started to fail." They lived in North Carolina while she was holding down a household in Minnesota. "I ended up worried, depressed, mentally sick and enduring a whole lot of stressing," she said. 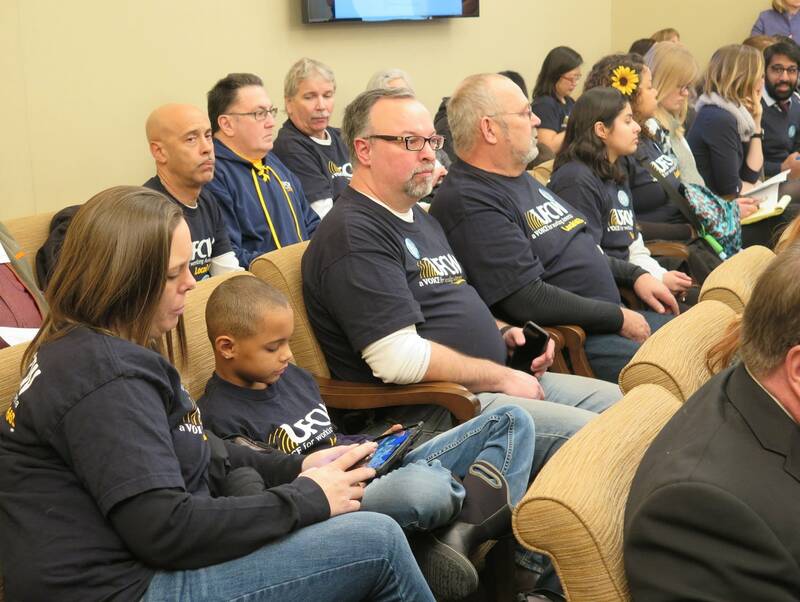 McCoy-Anderson told her story to the state House Labor Committee, which began examining a DFL proposal to provide caregivers like her at least partial wage replacement for up to 12 weeks. The same benefit would be extended to parents upon the birth or adoption of a child. To pay for it, employers would face assessments toward a new state fund similar to unemployment insurance. And they would be barred from firing or demoting an employee who applies for leave. All of it has major players in the business community on edge, including among companies that voluntarily offer such leave already. "There's only a handful of other states that have ever done this, and most of those states already had existing infrastructure in place that they just built upon. Minnesota would have to build this from scratch," said Jill Larson of the Minnesota Business Partnership. She told other business lobbyists that the proposal would add to business costs and step on companies' own efforts to craft leave plans. There are also concerns about the state's ability to handle such a program after high-profile failures with other government technology rollouts, including an online health care marketplace as part of the Affordable Care Act. Owners of some smaller businesses urged lawmakers to forge ahead. Anna Tsantir, who owns Two Bettys Green Cleaning in Minneapolis, said she'd gladly contribute to a fund if it means her 160 full- and part-time staffers get access to an insurance pool for family leave. "I can recruit and retain employees just like the big dogs when I can offer similar benefits that they do," she said. "As a small business owner, I know my small business will thrive and grow when we can take care of our staff." • NPR: Tax credit aims to boost availability of paid family leave, but will it work? There's much left to be sorted out. Timing is one. It could take a few years to get it up and running. Skeptics say even that's too fast. Associations for Minnesota cities and school boards have reservations, too, given that it's the type of benefit that would normally be bargained for. The bill moved forward on a 10-5 vote, but only after Republicans on the committee lobbed many questions at supporters. Rep. Dan Fabian, R-Roseau, said it's already tough for main street businesses or service providers to backfill during absences. "Nurses and doctors and so forth, if someone leaves, how do you schedule, how do you retain?" he asked. "How do you replace those people when they're gone in these types of jobs that are so critical to our small towns? We're talking about caring for people, this is probably some of the ultimate care that we have." The bill faces a steeper climb in the Republican-controlled Senate. But DFL Gov. Tim Walz said he sees a paid-leave proposal as a priority for the session and his administration is committed to making it happen. 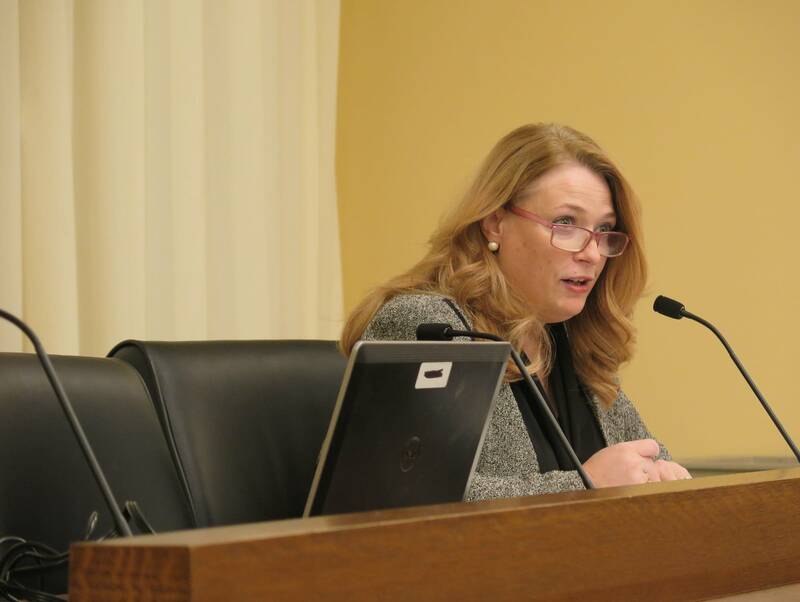 Rep. Laurie Halverson, DFL-Eagan, promised to keep working with supporters and opponents of her bill to address concerns. "Getting this program passed is complicated, but lives are complicated as well," she said. "And I think it's up to us as policymakers to recognize the ways that Minnesotans are trying to live their lives, go to work and take care of their families and to support them in doing so."